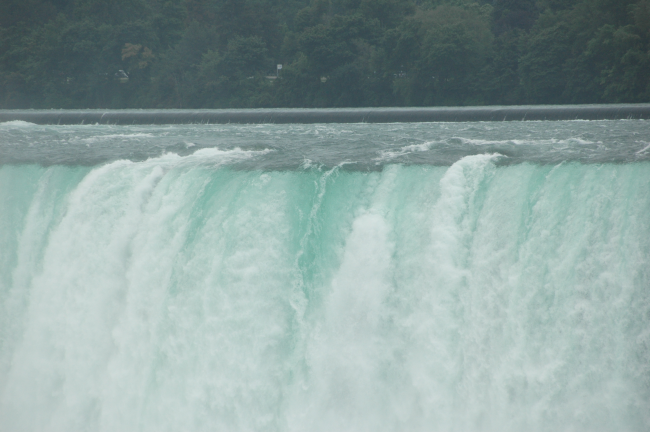 It’s very common that many of my friends envy me my home close to the Canadian side of the famous Niagara Falls. After all, it is the most well-known of the waterfalls with the maximum number of visitors and also the largest in North America. It is indeed an amazing sight to look at the gigantic sheet of water thundering down and splashing on the rocks below, often creating multiple rainbows. 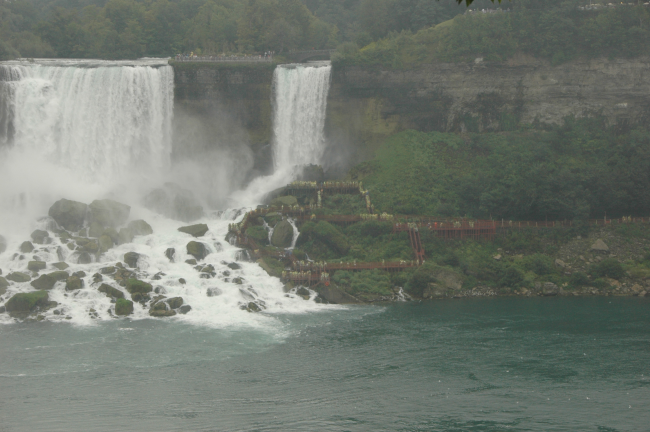 Located on the US-Canadian border, on the Niagara River, there are three waterfalls that make up Niagara Falls, namely the Horseshoe Falls, the American Falls, and the Bridal Veil Falls. Among these three, it is the Horseshoe Falls that takes the spotlight with a width of 2,600 feet (790 m) and a height of 173 feet (53 m). Niagara Falls came into being 10,000 years ago when the ice melted after the Wisconsin glaciation and the water from the Great Lakes made its way through the Niagara River to the Atlantic Ocean, forming Niagara Falls on the way. Gradual erosion over the years has given the Falls its current shape. Geologists predict that, at this rate of erosion, the Falls will be nonexistent in 50,000 years. Compare the height of the people to get an idea of the size of the waterfall! 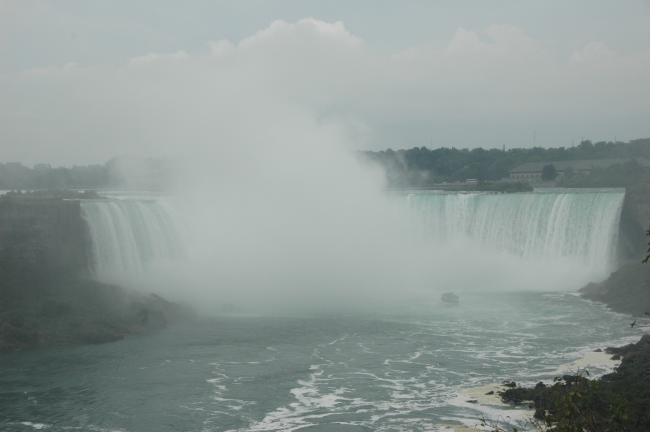 The name, Niagara, comes from the name of the local people who used to reside in the area. 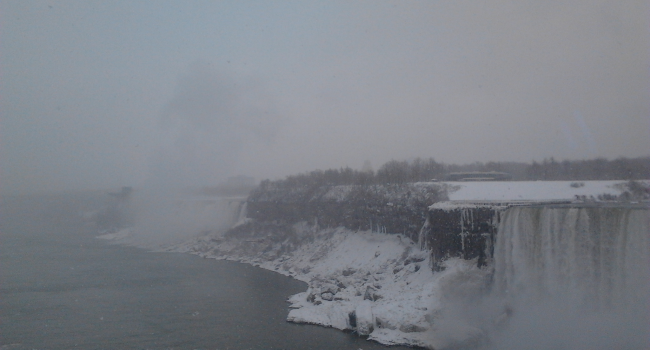 Niagara Falls happens to be a hop, skip and jump away from my home city… one of the reasons for having seen the Falls in every season, may it be spring, summer, fall, or winter. And I must admit, it is the fall season I like the best when the trees are in brilliant colors, the gardens are well-tended, and the beautiful scenery extends beyond the magnanimous flow of water to the fall colors, the orangish-red foliage of the trees and the iridescent floral gardens. 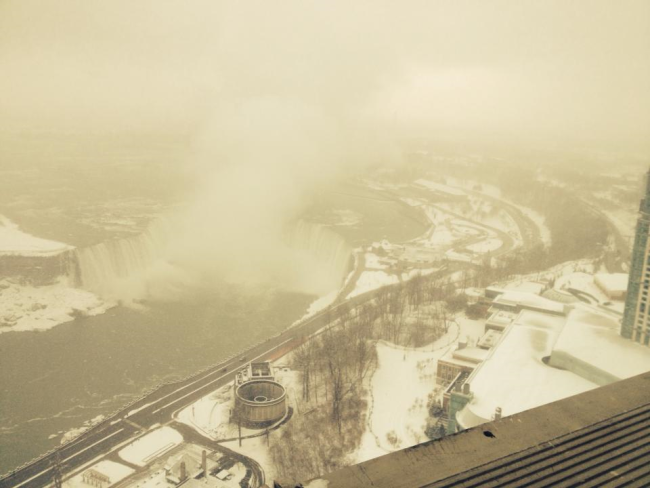 In the winter ice storm of 2013, Niagara Falls looked picturesque as a huge ice sculpture. It was subfreezing temperatures most of the time though fun to hang out. The Maid of the Mist boat ride is a summer event that takes you to the base of the Falls where you are drenched by the mist from the Falls. A thrilling experience, worth a try. Niagara Falls has been a venue for many publicity stunts. In 2012, Nik Wallenda, a tightrope artist, walked across Niagara Falls on a wire strung from the American side to the Canadian side. That was a major show for the public, broadcast live on national television as well as a great achievement for him. In earlier years, there have been people who have rolled over the Falls or jumped over. In 1901, Annie Edson Taylor survived the experience of rolling over the Falls in a barrel. Sam Patch was the first person to jump over the Falls. Some of these daredevil stunts were staged to garner money. Along the falls lies a commercial town filled with casinos, posh hotels and restaurants, observation towers, souvenir shops, amusement parks, game shops, neon billboards, and advertisements. 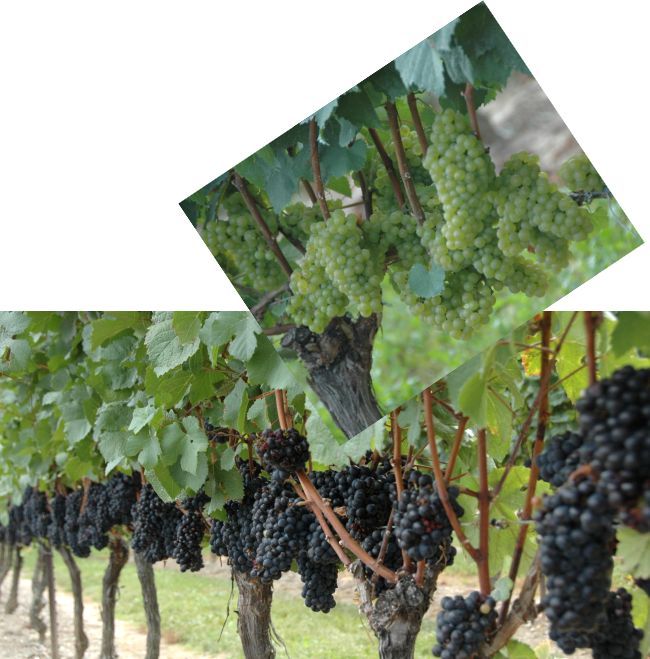 Surrounding this area is the wine country and the provincial town of Niagara-on-the-Lake. 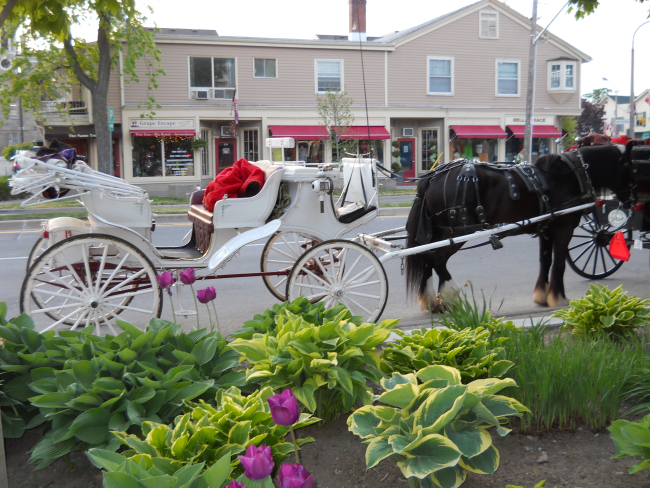 It is this town that I always look forward to while visiting Niagara Falls. 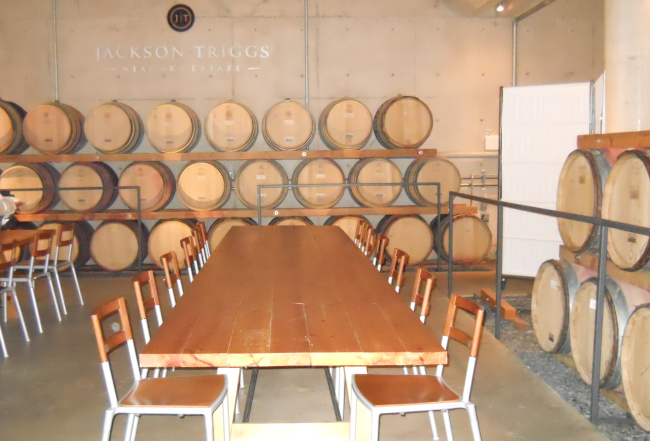 Not only do I get to taste different kinds of wine from the nearby vineries but also for its quiet splendour and relaxing environment.